Mr Oliver S. Schindler is a Consultant Orthopaedic Surgeon at the Bristol Arthritis and Sports Injury Clinic, specialising in the treatment of hip and knee disorders. Mr Schindler is a Fellow of both the Royal College of Edinburgh and the Royal College of England. He is holder of a PhD in Sports Medicine and is an elected member of the Faculty of Sports & Exercise Medicine. He is actively involved in numerous national and international orthopaedic societies and on the review board of a number of medical journals including ‘The Knee’ published by Elsevier, and ‘Knee Surgery Sports Traumatology & Arthroscopy’, published by Springer. After graduating from the University of Munich with a First Class BSc(Hons) degree, he entered his residency programme in Switzerland. In 1993 he received an invitation by the late Professor Duthie of the University of Oxford, and continued his professional training in trauma and orthopaedic surgery in the UK. Between 1993 and 1999 he trained at the Nuffield Orthopaedic Centre in Oxford, the Edinburgh Royal Infirmary, the Royal National Orthopaedic Hospital in Stanmore and the Avon Orthopaedic Centre in Bristol. After passing the Intercollegiate Fellowship Examination in Trauma & Orthopaedics in 1999 he was appointed Consultant Orthopaedic Surgeon at the North Bristol NHS Trust. In 2001 he was selected for fellowships in joint arthroplasty and sports traumatology in Melbourne and Sydney, Australia. This was followed by a further fellowship in reconstructive knee surgery at the Ilizarov Scientific Centre in Russia. He returned to the UK in 2002, where he established a reputation as a lower limb specialist with a focus on knee and hip conditions. During his career he has received a number of prestigious academic awards including the ASG Travelling Fellowship, awarded jointly by the American and British Orthopaedic Associations in 2005, the Insall Travelling Fellowship awarded by the American Knee Society in 2007 and more recently the AAOS Best Poster Award bestowed by the American Academy of Orthopaedic Surgeons during their annual meeting in Orlando in 2016. Mr Schindler’s interests concern the pathology of cartilage damage, the effects of knee instability following ligament injury, plica impingement, and joint preservation strategies in the face of early degeneration. With regard to arthritis management he supports the notion of a tailor made approach depending on disease location and severity, thus offering a spectrum of treatment options ranging from selective resurfacing procedures (e.g. unicompartmental and patello-femoral arthroplasty), to total knee and hip arthroplasty. He is a proponent of the mobile bearing principle in knee replacement surgery whilst for the hip joint he prefers the use of ceramic and titanium due to their excellent durability and biomechanical qualities. Mr Schindler has maintained a strong interest in clinical research and academic activities throughout his career. He has published widely on key aspects of hip and knee surgery and presented his work on national and international stage. 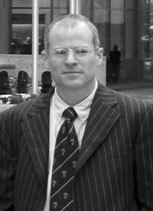 He has worked extensively on aspects of surgical sterility and is currently investigating the results of sandwich grafting in the treatment of adolescent osteochondritis dissecans, the long-term outcome of callotasis in correcting leg mal-alignment and 10 year follow-up results of the NexGen fixed bearing total knee arthroplasty. In addition he is interested in prosthetic design and performance and in patient related outcome measurements after hip and knee surgery. History of orthopaedics, mountaineering, golf, classical music and jazz. Mr Oliver Schindler does not hold a share or financial interest in this hospital, another Nuffield Health hospital or the company. Mr Oliver Schindler does not have a share or financial interest in equipment used at this hospital or another Nuffield Health hospital. Mr Oliver Schindler does not hold any paid advisory role(s) at this hospital or on behalf of Nuffield Health.